Our hard and soft Night Guards are custom made to help your patients with bruxism or snoring. Bite splints also can make a world of difference for your bruxing and grinding patients, alleviating pain and preventing further destruction of existing healthy dentition. 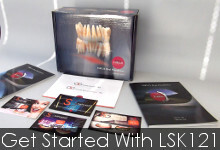 All bite splints and night guards are constructed to your occlusal plane specifications on the upper or lower arch.